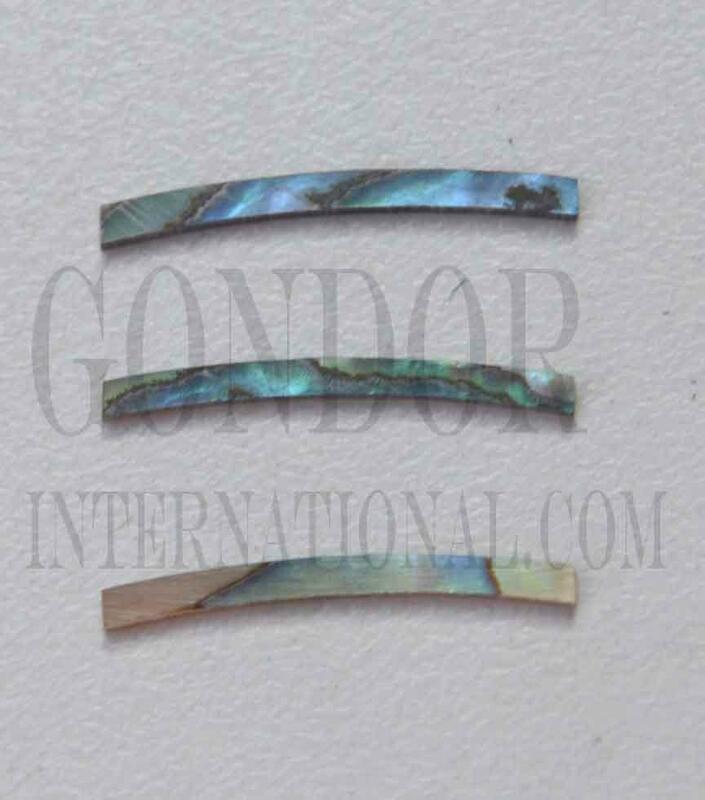 Paua abalone solid shell curved strips 3.17mm (0.125") width x 25mm (1") length x 1.3mm (0.05") thickness x 125mm (4.92") inside diameter. A grade quality good on both sides, flat and uniform in thickness and width. Ideal for use in purfling and rosettes on musical instruments - Ukuleles, guitars, mandolins etc. as well as in furniture, jewellery and other decorative applications.